I have often been amused by the fact that everyone calls himself or herself a leader these days. Fancy designations and titles have crowned nearly all middle and above management roles as that of a ‘leader’. Everyone is being projected a leader, without knowing what is leadership all about in the first place! 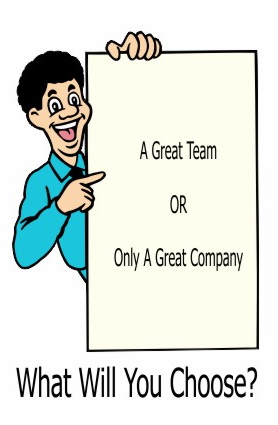 Does the fact one has become a senior manager and manages a team make him or her a leader? Does one become a leader just like that? Or there is more to it…? Why do I want to be a leader? Am I an authentic person and appear one too? Do I prefer hiring people stronger than myself under me? Am I a teacher, a coach; genuinely like working towards making everyone successful? 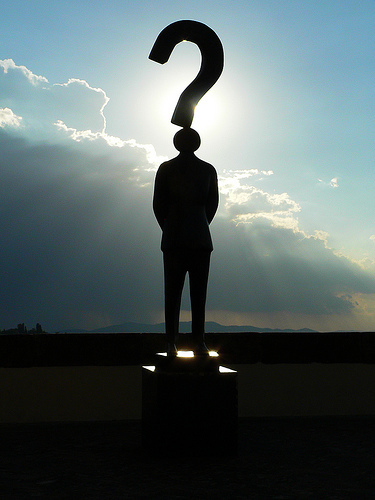 Do I possess and demonstrate strong learning agility or do I behave as if a ‘know-it-all’? What will my team say about me in this regard? Do I genuinely take and manage well-meaning criticism without my ego overtaking? What will my team say about me in this regard? Do I allow myself to fail at times, and document each failure, thereby creating a method around it for others to learn? Do I allow my team their fair share of mistakes? Do I like being popular, and thus avoid giving feedback? Do I genuinely give credit to my team for all good they do? What will my team say about me in this regard? Does my team know that even if all goes wrong, I will stand ahead of them in facing the music? Have I ever told my people, “As your leader, I am with you and not above you”? Why should anyone be led by me…? Last week, I was discussing the subject of gender diversity at workplace with a bright management student, who is specializing in human resources. During the discussion, I shared with her how I believe gender-diversity is a key business imperative and not a mere fad. However, she expressed her doubts on the overall subject of organizational initiatives promoting gender-parity. However, her confident argument and thought process behind it made me think. I am an HR professional; as a leader of several bright young women and men, I am responsible for hiring, building and promoting talent at all levels across functions. In all my years of working, I never observed any kind of bias towards any element of workforce diversity, including gender diversity. I worked with some of the great organizations of India and the world, which promoted & extended an inclusive, fair and open work-culture to all their employees, and always advocated & promoted talent and merit. Thus, I didn’t face any such situation where I would have experienced any undue bias towards any gender whatsoever. Having said that, I am aware that this isn’t a universal phenomenon. We do keep hearing issues like ‘glass-ceiling’ that may still exist in some sectors and organizations. We do observe there exists certain discomfort with women working in manufacturing facilities or sales units. Often, this discomfort is not expressed in words, but a careful perusal of the body language of the hiring manager says it all. I have infact seen job-descriptions, which clearly say, “Only males apply”. I often feel surprised at such discomfort or classification of gender, for I always thought Sudha Murthy broke the myth way back in ‘70s, by knocking the doors of a famous manufacturing company and opening it for women employees on shop-floor. The difference of attitude of the society towards the women-folk has always left me confused. As a school student, I grew up with my female batch-mates studying much harder, being more sincere towards education, and participating in all events – indoor and outdoor, and competing with equal passion. However, right after the Class 10th, we could observe the change in society’s approach – boys aspired for engineering and girls often ended up taking ‘Bio’ – the aim being an apparently safer, or less riskier career in medicine! In those years, a very miniscule section of women applied and studied at the engineering colleges. This was way worse in pre-‘80s, where home-science and humanities were the key subjects for the girls. Either no career at all, or teaching or government jobs were the limited careers women aspired for! Thanks to this mindset, only a small creamy layer of women-folk pursued higher education or even joined the ITIs to pursue technical qualifications. The late ‘90s and early 2000 changed it to a considerable extent. We witnessed a lot of women applying to and studying diverse fields like engineering, law, hotel-management, etc. Gradually, the percentage of women in such courses increased. 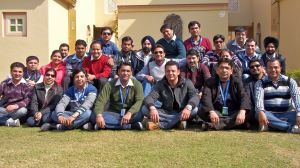 The management colleges too started to have a good one-fourth and more of the batch as females and society started to change the outlook towards women opting for ‘riskier’ careers. However, largely this change remained confined to the metros and other large cities, and more so in the upper-middle class families. Hence, the disparity in workforce remains at all levels to this date. Our factories do not employ women – they are considered a male bastion – due to the so-called physical labour required, perceptions of safety norms and also due to the mindset of the employers. So, at the workmen level, we don’t see many organization employing female workers. Law of the land doesn’t help remove the disparity either. It still doesn’t permit a large section of female employees to work before 6pm and after 8pm, and hence, poses a strong challenge towards organizations that aspire to promote work-force diversity to its fullest extent and benefits. Also, at this stratum of the society, male-members are still considered the breadwinners, and women run homes and look after children and elders. I could never understand this dichotomy, for the fact that all our Indian homes that could afford a home-help, women of only the above mentioned stratum of the society work as maids, earning a substantial potion of their household incomes! Our farms always employed women, engaging them in harder physical labour than our factories merited! I always wonder if women can move around the town till late hours, why can’t they work inside offices and factories till late? After all, providing safe working conditions is what law and order is all about, and restricting the working hours only appear unfair to me. On the other hand, at the knowledge and management workers levels, disparity is certainly decreasing. We see women performing exceedingly well in such roles. However, the numbers still do not stack up at all levels in the same manner. There are two broad reasons for this – one, still the number of female candidates studying in professional courses is far lesser as compared to their male counterparts. Blame the fact that old societal norms still exist in a large part of our small towns and rural areas. A very large segment of women do not get parental/societal approvals to move out of hometowns to pursue quality education elsewhere. Even those who do, often move back to hometowns, either working at whatever is available or yet again applying to ‘safer’ public-sector jobs, banks, et al. Hence, the modern, private-sector organizations get to receive a very small amount of applicants, and thus the poorer gender ratio at workplaces in lower and middle-management. The second reason is that the women who get to obtain quality education, receive family support to pursue careers, join, work & perform in organizations, face another challenge – managing the dual roles of homemaker and career woman. Ironically, the age between 25 and 35 years when one can and has to concentrate on the career the most, most women drop out to get married, give birth to and raise kids. While both law and organizations extends support in such cases, this support is often inadequate. The pressure from society is often back breaking, many a times not allowing women to continue with their careers. Of course, this varies from family to family and society to society as a whole. However, we often see that such women resume work, if at all they do after a long break, only to find their roles being replaced by others. They are offered to take up whatever roles are available at the hand, which may or may not suit their skill or liking. In this hyper-competitive era, such gaps can be terminal for any employee, and thus jeopardize the rise of an otherwise competent performer with even higher potential. Consequently, we see furthermore skewed gender-ratio at senior leadership levels. 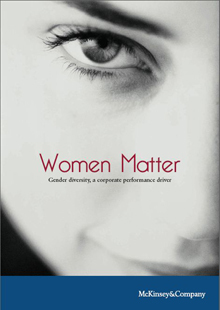 Keeping in view the above aspects, it becomes imperative for all well meaning organizations to encourage gender-diversity by employing focused strategic initiatives and provide cultural & infrastructural support to all female employees. In my view, these initiatives & opportunities in no manner subjugate the interests of and opportunities available to the male employees. Human capital is way too precious an asset to be forsaken at the altar of any diversity-initiative. In order to support diversity, no sensible organization would blindly entertain unacceptable quality of talent on its rolls and the subsequent loss of productivity. I strongly believe that merit and talent is primary and cannot be compromised upon at workplaces. Having said that, creating an unbiased culture of opportunity, consideration to the physical and personal attributes of the female workforce and building concerted & innovative working possibilities that support women across ages and work-levels is an organizational imperative and must not be viewed as any special favour towards them. Working overtime on the riveting machine. I rest my case…please do let me know your views. I recently completed reading this excellent book on leadership. In last 9 years, I have read several books on the subject; this one is arguably the best one. 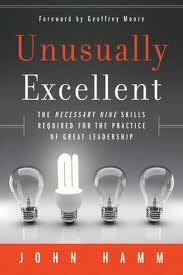 ‘Unusually Excellent’ provides an effective framework – 9 necessary skills required for the practice of great leadership. John takes you through each skill in a well-structured and elaborate, yet simple and compelling manner. He makes you think and ponder on your leadership style, without sounding preaching. He builds his case strongly for each skill, his stories make you identify your gaps, without making you feel miserable about them. What made me read this book with considerable attention was John’s immaculate presentation of the 9 essential skills – unlike the rules that many other authors of leadership arena insist upon. I have always believed there aren’t any rules of leadership; leaders are born, not made. However, we can always acquire the quintessential skills of this art, making us more effective leaders by the day. A key factor that John insists on is leaders’ personally spending considerable time hiring their team. He argues that “hiring great people is the highest leverage activity that leaders undertake.” I fully second this part. 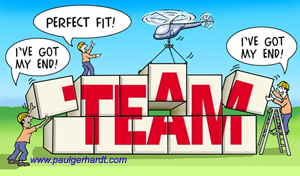 This is the first and biggest investment any leader would make in creating a great team, a worthy investment that has far-reaching effects and results. Another great insight I picked up was on Page 134 – concept of “84 Great Things.” Superb example of ensuring flawless execution and very implementable…I have already started to practice it. ‘Unusually Excellent’ is an unusually excellent work on the subject. This book is for the leaders, and not on leaders. It helps you build a perspective on leadership over a long career, and does not offer any tricks to be a leader. I have really benefited from this book…it has made me think, reflect, improve…I am on the path to being a better leader and will keep coming back to consult this book. I am sure, this will be one of the most thumbed books in every well-meaning leader’s library.